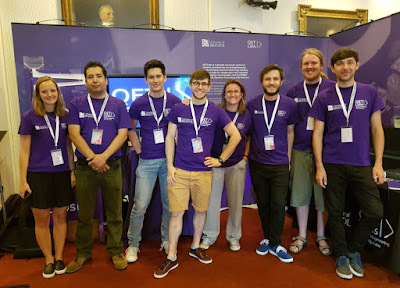 Cheltenham Science Festival is one of the UKs largest public engagement science exhibitions, which has had attendance of 45,000 visitors at previous events. 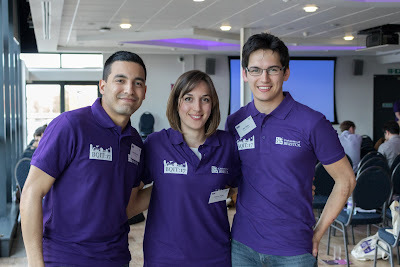 This year’s festival saw researchers from QETLabs showcasing a variety of demonstrations. QET Labs students and researchers Henry Semenenko and Alasdair Price organised demonstrations ranging from explaining the fundamental properties of light such as polarisation, and how we use it in sunglasses and 3D cinema glasses, to addressing current affairs of hacking encrypted messages and securing communications against malicious adversaries. 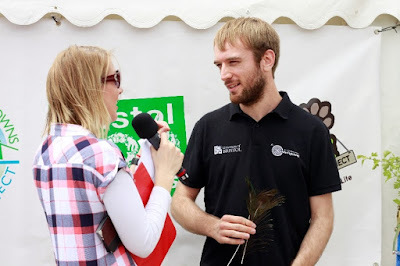 The exhibit was well received, engaged with a large number of people and was popular with schools, children and adults from all types of non-technical backgrounds. 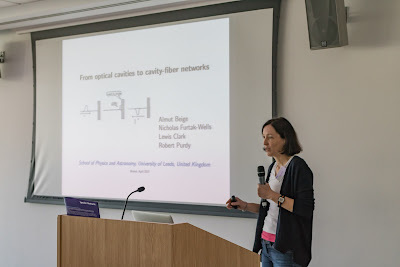 Many were interested in how optics and quantum technologies work and how it will impact their lives in the near future. 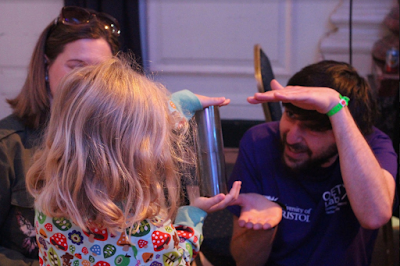 Students from the Quantum Engineering CDT taught the public about light and colour at Bristol’s Festival of Nature this weekend. 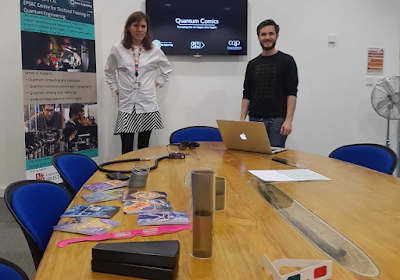 The CDT’s 3rd cohort, led by Cohort 1 student Euan Allen (pictured above), attended the event on Saturday and Sunday to demonstrate the effects of microstructures on colour in nature using butterfly wings, beetle shells, and several other naturally iridescent substances. 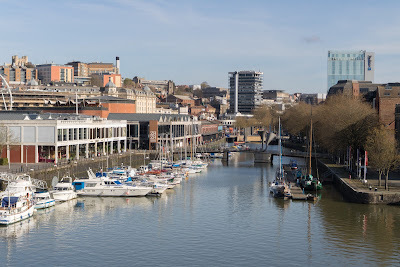 The event, which attracts thousands to Bristol harbourside annually, aims to educate the public about nature, conservation, and the environment. Cohort 3 students (from left to right) João Diniz, Giorgos Eftaxias, Rachel Chadwick, George Atkinson, Jorge Ruz, and Ross Wakefield pose in front of their demonstration. 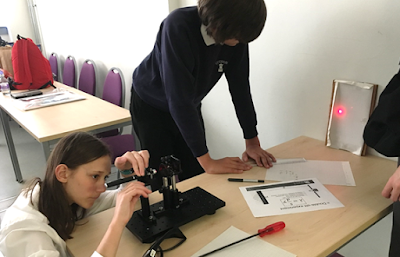 Bristol Optical Student's Society (BOSS) and QETLabs researchers show off the power of optical fibres and photonic crystals to local school children at the new UnitDX facility, Bristol's new science incubator. This time, the very first members of the public visiting UnitDX's sparkling new laboratories were neither local officials nor scientists, but children from local schools coming to discover how science will be used to engineer their futures. Arriving two days before the official opening of the site, the children had the opportunity explore a number of different exhibits, from donning VR headsets to interactive play with molecules, to lab coats for chromatography.